In fact, ISO-NE intentionally excluded LNG storage incentives from last winter’s winter reliability program, telling the Federal Energy Regulatory Commission that gas-market-related solutions “would lower gas prices and send the wrong signal about the relative scarcity of natural gas. These lower prices would also be reflected in the electricity market.” In other words, allowing prices to rise would help convince the public that we need more natural gas pipelines. 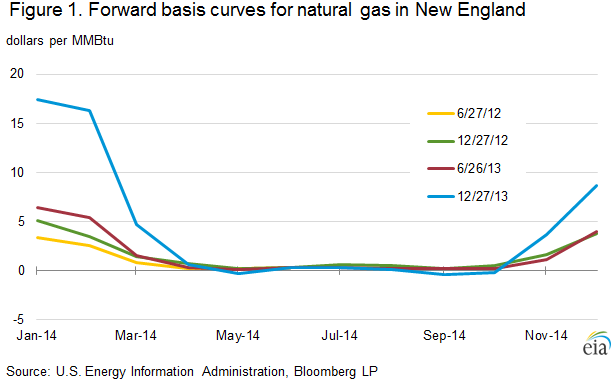 If snowy New England doesn’t need new pipelines for winter heat, it’s a safe bet the Sunshine State doesn’t, either. The winter reliability program is currently scheduled to sunset in January 2018, the winter before two enormous gas pipeline projects are proposed to be completed — Kinder Morgan’s Northeast Energy Direct and Spectra Energy’s Access Northeast, both of which would allow shale gas to be exported to Canada and shipped overseas. The consensus among energy economists, recently affirmed by the U.S. Energy Information Agency, is that domestic natural gas prices will rise, not fall, as exports increase. That’s the same concensus document from eia I previously posted. No new pipelines! Conservation, efficiency, storage, and lets get on with solar energy.